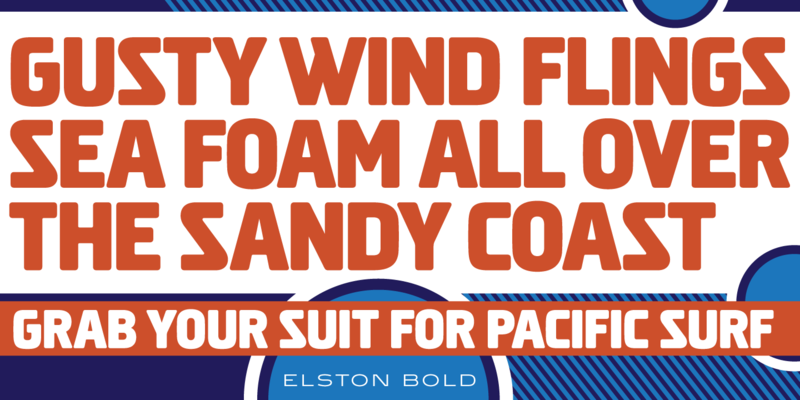 Elston Pro is a display sans serif font family designed by Les Usherwood. 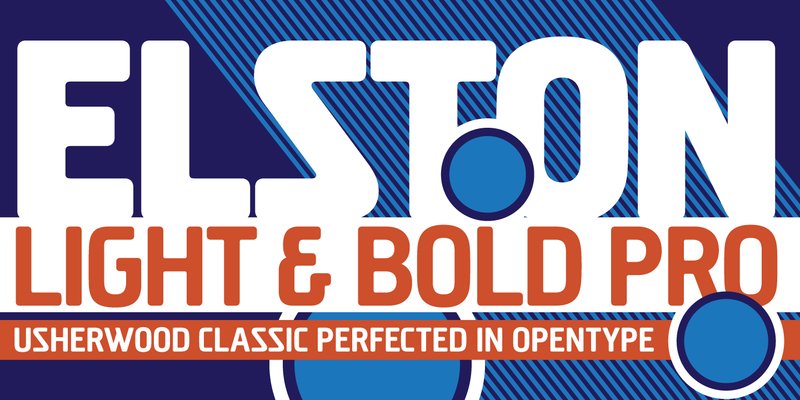 International TypeFounders exclusively licensed the Elston family from the Typsettra Collection. Elston was originally released in the Red Rooster Collection in 1992, and was completely redrawn and remastered by Steve Jackaman (ITF) and Ashley Muir in 2010. 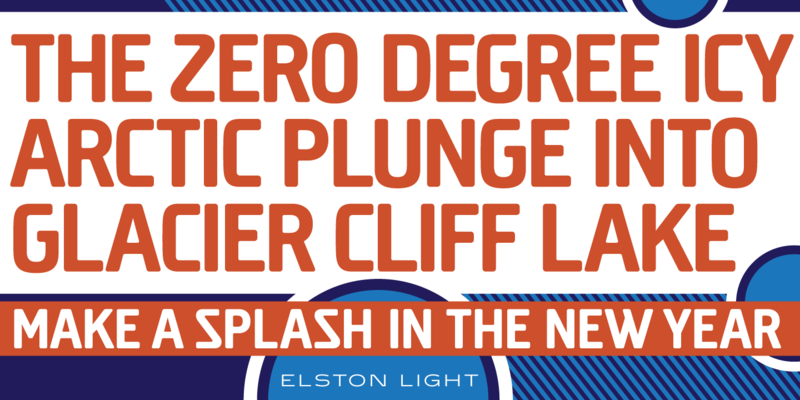 Jackaman experimented with creating a lowercase for Elston, however the designs took on a life of their own and became the Creighton and Megaphone families. Despite its rounded edges, Elston Pro can create quite a sharp impact at display sizes. It can play a variety of roles, and is malleable enough to be used everything from corporate designs to easy-going sports campaigns. Elston Pro is a trademark of International TypeFounders, Inc.
©1992, 2010. International TypeFounders, Inc.